You might have seen this tweet from Jeremy Corbyn yesterday. It seems to tell a compelling story of the dramatic rise in hate crime in recent years. But more reliable data suggests exactly the opposite could be true. Where are the figures from? 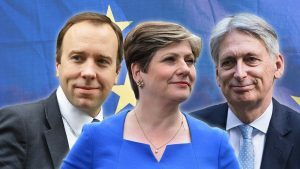 A Labour spokesperson confirmed to FactCheck that the data in Mr Corbyn’s graph comes from a Home Office report released yesterday. We assume he’s used figures from Table 2 of that report, which show a rise in the number of hate crimes recorded by the police in the last few years — from about 42,000 in 2012-13 to just over 94,000 in 2017-18. In other words, these statistics do not tell us anything about the actual increase in the number of hate crimes. They only tell us that the police are getting better at recording hate crimes properly. Is there a more reliable measure? There is another way to track this type of offence: the Crime Survey for England and Wales, which is run annually by the Office for National Statistics (ONS). 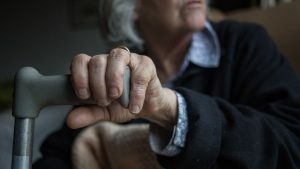 They interview a random sample of 50,000 people across England and Wales and ask whether they have been a victim of crime in the previous 12 months. When it comes to measuring crimes like sexual offences and hate crimes, statisticians often prefer the Crime Survey to police records. This is partly because, as we’ve seen already, it often takes a cultural or institutional shift for the police to start recording these crimes properly. And there’s the added benefit that the Crime Survey helps record offences that are never reported to the police. Comparison between the Crime Survey and police records suggests that only half of hate crime incidents between 2015 and 2018 came to the attention of the police. So what does the Crime Survey show? Well, it appears to show a significant fall in the number of hate crimes in England and Wales in the last ten years. But before we get into the details, let’s make one thing absolutely clear: the Crime Survey data on hate crimes is far from perfect. It is primarily a measure of the number of people who experience crime. So it doesn’t capture crimes that are “victimless”, for example public order offences like rioting. This is particularly problematic for hate crimes, where half of those recorded by the police are public order offences. In other words, the sample size of hate crime victims in a given year is too small to be statistically robust (just 0.3 per cent of adults were the victim of a hate crime in the 12 months prior to the Crime Survey interview). 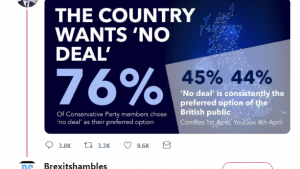 To get round this, the ONS only releases hate crime data every three years, combining the results of three annual surveys and thereby tripling their sample size. For this reason, we can’t really use the Crime Survey to measure short term changes in hate crimes. But even with these caveats in mind, in the view of the ONS and the Home Office, the Crime Survey remains the best available measure of long term changes in the number of hate crimes. Which is the very thing Jeremy Corbyn was talking about in his tweet. So let’s take a look at what this more reliable measure tells us. Crime Survey data shows that the number of hate crimes has fallen by 40 per cent in the last decade. In the period 2007-2009, Crime Survey data shows there were about 307,000 hate crimes in England and Wales each year. In the latest reporting period — 2015 to 2018 — that figure was 184,000. It’s just worth pointing out a couple of things about Mr Corbyn’s graph. First up, the title refers to the UK, but he’s using figures for England and Wales only. Second, the vertical (y) axis begins at 40,000, rather than zero. There are times where it is reasonable to use a compressed y-axis. We don’t think this is one of them. It exaggerates the effect that Mr Corbyn is trying to demonstrate: at first glance, the viewer might reasonably think that we’ve gone from almost no hate crimes in 2013 to nearly 100,000, which is not correct. 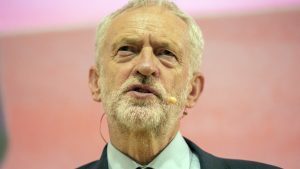 Jeremy Corbyn tweeted a graph that purports to show a significant rise in the number of hate crimes in the UK over five years. 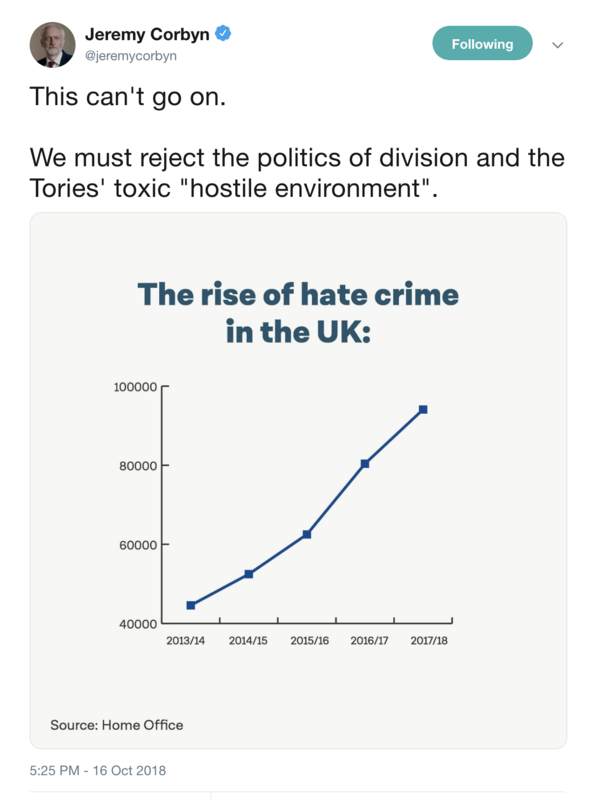 The data he’s using is from a Home Office report on crime in England and Wales (not the whole UK), which does chart a rise in hate crimes recorded by the police. That’s because “it is known that police recorded crime data have been heavily affected by improvements in crime recording by the police over recent years.” So all this data tells us is that the police have got better at recording hate crimes. The Office for National Statistics compiles its own data on hate crimes through the Crime Survey for England and Wales. The ONS figures are far from perfect (they don’t tell us about short-term changes, and they don’t always capture public order offences, which are particularly relevant for hate crimes). But even with these caveats in mind, the ONS and the Home Office consider the Crime Survey to be the best available measure of long term changes in the number of hate crimes. Which is the very thing Jeremy Corbyn was talking about in his tweet. This more reliable ONS data shows a 40 per cent decline in the number of hate crimes in England and Wales over the last decade – exactly the opposite trend to the one shown in Jeremy Corbyn’s tweet.